Kitchen Escaping is another nice pint and click escape the kitchen game brought to you by Games2Rule. 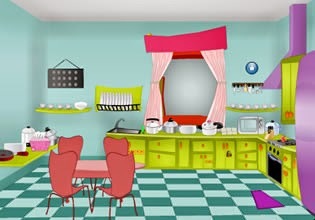 Explore shiny kitchen, find various useful clues and spot objects. Open the door to escape!